Is the New Car Sticker Price Negotiable? When shopping for a new car, everyone wants to get the best price possible. After all, there’s no reason to pay more than necessary but many people do. Did you know that there are times when the sticker price of a new car is negotiable? This is not always the case but there are many times when consumers could get a better deal if they understood the difference between sticker price, the Manufacturer’s Suggested Retail Price or MSRP and the invoice price. The law requires that all new vehicles have a window sticker that provides consumers with information about that car. For example, it will give you the make, model and year of the vehicle. It will also include the VIN number, fuel ratings, mechanical specs and the details about the warranty along with a lot of other information. However, the main ones you need to be concerned with when negotiating for a better deal is the sticker price, the MSRP and the invoice price. The MSRP is simply what the manufacturer believes the car should be worth. It’s the figure they suggest the dealer sell the car for but it is not usually what you’ll pay. The sticker price is the amount the dealership is asking for the car. It will include information such as the delivery charge, the MSRP, fees and so forth. Many times, it will also include the invoice price. The sticker price may or may not be lower than the MSRP and that’s where things get a little confusing for the buyer. If you see a sticker price that is less than the MSRP, you automatically think you’re getting a good deal but that’s not always the case. It depends on how much the Toyota dealer actually paid for the vehicle, which shows in the invoice section. 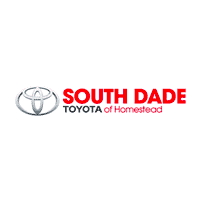 The invoice details what the dealership paid for the vehicle but it may not include any incentives the manufacturer offered the Toyota dealership such as rebates or discounts. You can’t expect the dealer to sell the car at or below the invoice price or they couldn’t make a profit and stay in business even if they do receive rebates. However, you can use this figure to negotiate a better deal if the markup between the invoice price and the sticker price is high. This is when you should ask yourself, “Is the new car sticker price negotiable?” because the answer is probably yes. While there are many times when you can negotiate for a lower the sticker price, there are times when it’s non-negotiable. For example, some dealers advertise that they already have the lowest possible price. They do this to eliminate negotiations and they normally will not lower the price. However, supply and demand is the biggest factor that affects negotiations. When a car is in high demand, you won’t be able to negotiate a lower price. The only thing you can do in this case would be to wait until demand slows down and then the price may drop some, too. Otherwise, take time to look at the sticker price, the MSRP and the invoice price if available and it will help you determine when and how to negotiate for a lower new car price. 0 comment(s) so far on Is the New Car Sticker Price Negotiable?